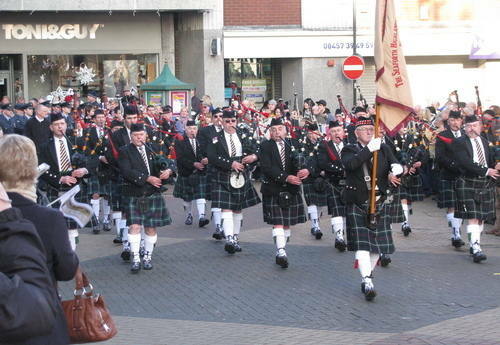 On Sunday 5th December 2009 we lead a large parade at Mansfield, Nottinghamshire. 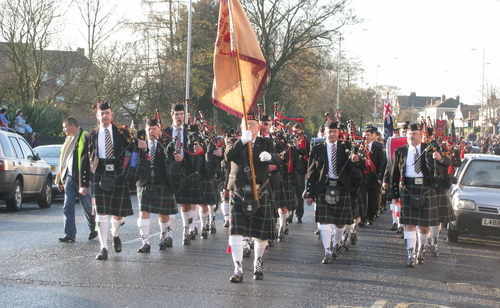 The purpose of this parade was to help the people of Mansfield raise money for a permanent monument in the town to honour the service personel who have lost their lives in the recent conflicts. 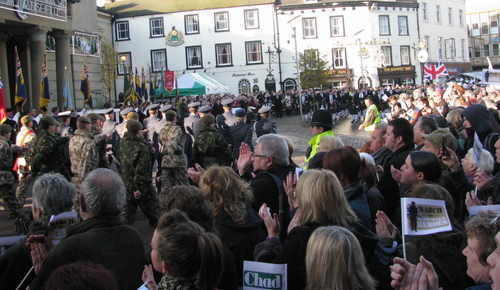 We were humbled by the turn out of those marching and those watching. It was a very emotional day but a great atmosphere of unity and common purpose. I wish to compliment the band on there playing again, they made me proud. My thanks to Pipe Major Steve Bozon and the members of the Leicester branch Seaforths who joined us. 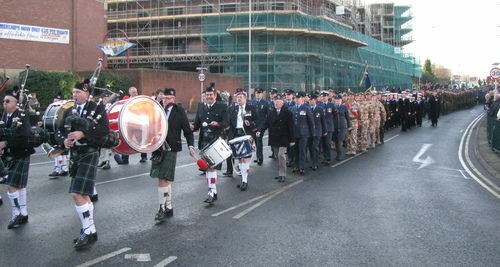 With special thanks to Fraser Ross who travelled up from London to play the base drum.